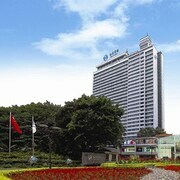 Nice and big hotel, few minuets walk to park, subway and Guangzhou rail station. I'm in Guangzhou, their breakfast buffet was great. Need more professional English speaking Staff..for so many overseas guest arriving at this property! 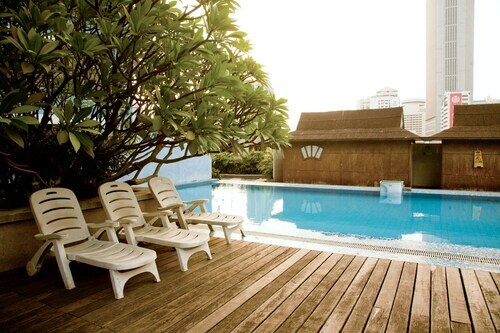 Internet is slow, however rooms and common areas are excellent. 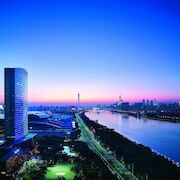 History buffs will enjoy exploring Guangzhou, and visitors give high marks for the festivals, fascinating museums, and shopping. This city also attracts tourists with its monuments and restaurants. 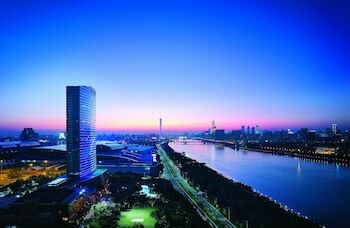 Top sights in the city include Zhenhai Tower, Yuexiu Park, and The Western Han Museum of the Nanyue King Mausoleum. 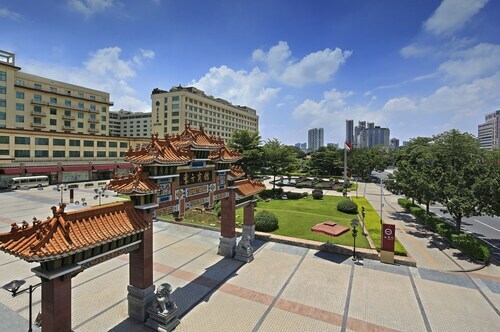 The city is well known for its festivals and museums, and cultural venues include The Western Han Museum of the Nanyue King Mausoleum, Guangdong Folk Art Museum, and Museum and Tomb of the Southern Yue Kings. 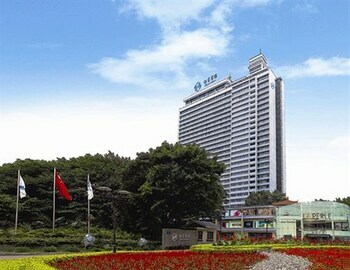 Its monuments and historic sites are notable and landmarks include Zhenhai Tower, Liurong Temple, and Guangxiao Temple. Shopping is one of the favorite things to do, so consider an excursion to Beijing Road Pedestrian Street, China Plaza, and Guangzhou Friendship Store. 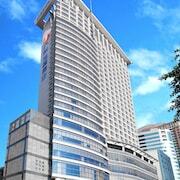 LN Hotel Five - This 4.5-star hotel features free breakfast, a restaurant, and free WiFi. It's a favorite with Expedia travelers for its breakfast and helpful staff. 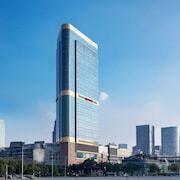 Mandarin Oriental Guangzhou - Our customers like the helpful staff and room size at this hotel. 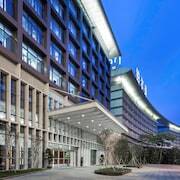 Guests who stay at this 5-star hotel in Tianhe can enjoy access to a full-service spa and 3 restaurants, along with an in-room MP3 dock. 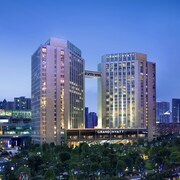 Four Seasons Guangzhou - Guests who stay at this 5-star hotel in Zhujiang New Town can enjoy access to a full-service spa and 5 restaurants, along with free WiFi. Expedia customers like its helpful staff and room size. Other favorite sights in Guangzhou include Yuexiu Park, Huaisheng Mosque, and Canton Fair Complex. 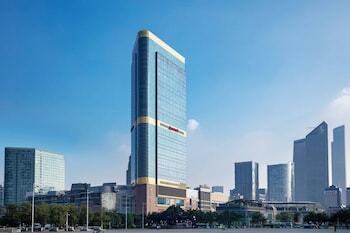 With so many ways to get around, seeing Guangzhou is easy. You can take advantage of metro transit at Peasant Movement Institute Station, Sun Yat-sen Memorial Hall Station, and Gongyuanqian Station. If you want to journey outside of the city, ride aboard a train from Guangzhou Railway Station, Guangzhou East Railway Station, or Guangzhou Shipai Station. 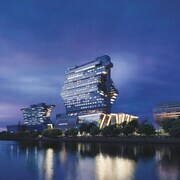 Explore Guangzhou with Expedia.com.tw’s Travel Guides to find the best flights, cars, vacation packages and more!